Complimentary Spa Dentistry at Cary Tryon! Our Cary Tryon dental office is now offering complimentary Spa amenities. Amenities include Parrafin wax hand treatment, essential oil spritz, massage chairs, & more! Find out more about our Spa amenities in Cary NC here. Ask about our Free Teeth Whitening for Life Program! 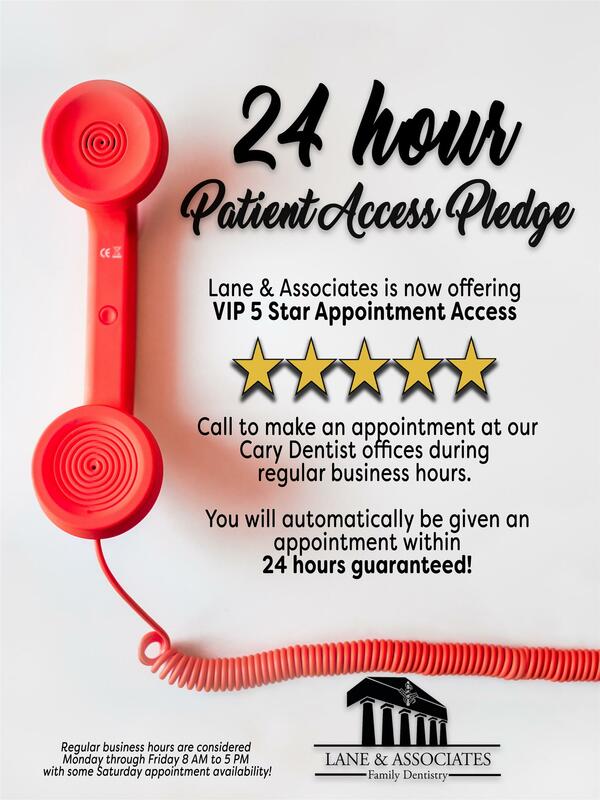 Special Emergency Hours now offered at our Cary NC Dental Offices. Find out more by visiting our Emergency Services page.